With Super Bowl Sunday just around the corner, we’re reminded of last year’s game that took place just a few blocks away from Marvell’s campus in the heart of Silicon Valley. Taking inspiration from the locale, Super Bowl 50 was undoubtedly the most tech-savvy event to date. The Denver Broncos and Carolina Panthers played at Levi’s Stadium in Santa Clara, one of the most technologically advanced venues in the country and the first stadium to feature 40 gigabits per second of internet capacity. TechRepublic reported that there were 10.15 terabytes of data transferred across the network during the game, with cloud storage, social networking and web surfing accounting for the top three applications transferring data on Levi’s Wi-Fi network. What was even more impressive was Levi Stadium’s mobile app which enabled attendees to order food and beverages in advance, find the shortest bathroom and concession lines and access game highlights in high-definition. But where does the game go from here? 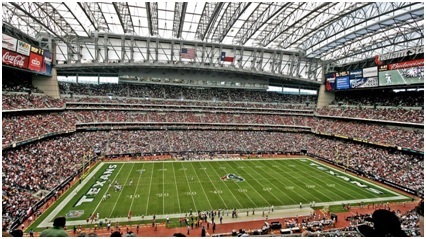 With sports fans being more engaged and connected than ever, how can technology continue enhancing the fan experience for Super Bowl 51? This year, the mobile app worth cheering for is Fox Sports Go. For fans unable to watch the New England Patriots and Atlanta Falcons face off live in Houston on Sunday, they can still get up close to the game in virtual reality. Fox Sports will stream the game live on its app which can be viewed in VR using a Samsung Gear headset or Google Cardboard. The app’s “virtual suite” will offer viewers various viewpoints of the game – even those without a VR headset can experience the game in 360-degree video. However, we can’t forget that for many viewers, the Super Bowl commercials are just as entertaining as the game itself. With the price of a 30-second ad reaching nearly $5 million this year, brands are, more than ever, using this opportunity to release some of the funniest, strangest and powerful ads to meet viewers’ high expectations. This Sunday, we’re especially looking forward to the technology commercials, such as the Kia Niro and Ford “Go Further” ads, which will highlight advancements in connected car technology. As consumers become increasingly interested in automotive technology, we can expect to see more Super Bowl commercials highlighting data and connectivity both this year and in the years to come. Last year’s record-breaking data usage is just an example of how important Wi-Fi and connectivity have become in our fast-paced world, especially at events such as the Super Bowl where instant streaming and sharing play an essential role in the viewers’ experience. At last year’s game, 15.9 terabytes of data were transferred via Distributed Antenna System, which was 2.5 times the amount compared to the Super Bowl the year before. Will the record to be broken again this Sunday? As we tune in to the biggest TV event of the year, we look forward to seeing how technology will up the ante at Super Bowl 51, from the amount of data being transferred to fans sharing their experience on social media, it’s sure to be a touchdown performance! With football and the fall TV season upon us, TV is on a lot of people’s minds right now as they wait for their favorite shows to start again. But what do service providers and multiple system operators (MSOs) have in store for users, and what technology will be driving the newest TV trends next fall, or the fall season after that? One of the big trends is Ultra HD or 4K TV platforms. According to CNET’s definition, Ultra HD is resolution greater than HD, which today most commonly means a horizontal resolution of 3,840 and a vertical resolution of 2,160. This is four times the resolution of 1080p, which is 1,920×1,080. Officially, Ultra HD is a minimum of 3,820×2,160, also known as Quad HD. It also includes cinema 4K (4,096×2,160) and future resolutions like “8K,” or 7,680x 4,320. The value and the quality of Ultra HD will be most noticeable on TVs with screen sizes larger than 50 inches. According to Business Insider (Sept. 2, 2014), it is predicted that 4K-capable TVs will be in 10 percent of all North American households by year-end 2018. In Fact, there are some companies, especially TV OEMs, who feel that their mix of UHD vs FHD, will be tilted in favor of UHD, as early as 2018. In addition to the bigger screens and higher 4K Ultra-HD resolution, the push for content over open platforms is expected to continue to gain momentum, much like what was seen in the smart phone market. Just like Android has tilted the percentages to twice that of the proprietary smart phones, Android TV could also see the same growth, or even dominance, as users move to more Over the Top (OTT) programming, such as from Netflix or Hulu, instead of or in addition to, their traditional and paid TV viewing. Business Insider, in the same Sept. 2 report, indeed predicts that the first wave of 4K content will become available on streaming services like Netflix, Amazon Instant and YouTube, but also looks at how cable and traditional TV broadcasters will adopt the new format, as well as the obstacles they face as broadcasters. Starting Oct 12, 2014, Netflix member’s access to Ultra HD now requires a “platinum” plan, which costs $11.99 per month. This 4K service only functions with TVs that support the UHD HEVC format. Android TV will also bring in the capability of allowing the content they desire on their phones or in their homes. This is where platform companies, like Marvell, push the technology limits, so service providers and MSOs can offer innovative and compelling viewing offerings. Marvell was an early proponent in the development and evangelization of the Android TV platform, and recently introduced at the International Broadcasting Convention (IBC) in Amsterdam its innovative new ARMADA™ 1500 PRO quad-core 4 Ultra HD SoC (88DE3214.) This sophisticated Ultra HD SoC delivers demand-based performance and leverages know-how from Marvell’s expertise in mobile platforms to enable Service Operators to offer cost-effective and elegant form factor devices to the consumer. 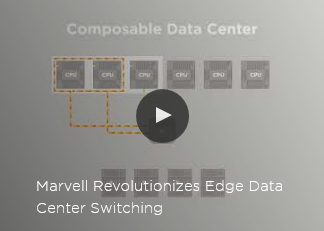 Marvell not only addresses the higher resolution with 60 frame-per-second 10-bit HEVC video decode, but has up to 12K DMIPs Quad Core ARM CPUs, so operators can deploy rich media/web-based TV applications. There’s also a multi-core GPU with 8 shader Vivante GC3000 to enable a compelling UI and provide the requisite horsepower for console-class gaming apps. The robust features of the ARMADA 1500 PRO platform truly provide an immersive gaming and digital content experience and enable converged LiveTV, OTT and gaming. In addition, Marvell has also addressed another key element: Security. Marvell’s SoCs for consumer platforms, such as Set-top boxes, Digital TVs, Dongles, etc., have always placed a huge emphasis on security. Content is and always will be king, and the protection of that content is of paramount importance. With the imminent deployment, and eventual proliferation, of Ultra HD content, Marvell teamed with Verimatrix to bring premium content security with support for video watermarking (VCAS) to a new breed of STB platforms that mix OTT, IP and broadcast services alongside entertainment-centric TV applications. With Marvell’s ARMADA 1500 PRO 4K enhanced security engine with TrustZone® support, Marvell offers a robust secure processor with Trusted Rendering Path to meet the strict and evolving guidelines for premium content. It is no wonder that Bouygues Telecom, a full-service electronic communications operators, in partnership with Marvell, announced a 4K version of their Android “Miami” TV box. As a result, Bouygues Telecom customers will get to enjoy unequalled image quality in 4K, as soon as compatible content is released in French offers. While this season’s Fall TV schedule is upon us, you can see the landscape for even more exciting things to come are already on the horizon. 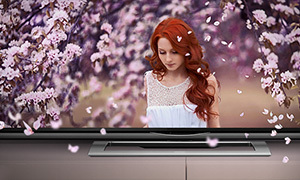 Marvell is excited to be at the technology forefront of “must-see” TV.